Even though we are living deep in the age of technology with iPhones with Tablets, iPads and video games, people still enjoy slower paced activities like putting together a jigsaw puzzle or two. Once deemed a fun thing to do as a child, this traditional pastime is now resurfacing at an aggressive rate. But puzzles are more than a leisurely and relaxing activity to do, they offer a multitude of benefits both mentally and physically. Puzzles improve your memory, attention span and fine motor skills, engages the left and right of the brain simultaneously and increase better problem-solving skills. They’re also a meditative tool, raise your IQ, help delay dementia, improve visual-spatial reasoning and encourage perseverance. With these kinds of benefits, it’s easy to see why puzzles are well loved. There are a huge variety of puzzles on the market, but Peter Pauper recently started carrying a selection with stunning images and they are a big hit in our home. You can choose from a variety of eighteen different puzzles. The Coral Reef jigsaw puzzle is so visually appealing with lots of vibrantly colored aquatic life. It’s intricate, it’s detailed and it’s peaceful. The puzzle has 1000 pieces and comes with a full-color poster that will work as your guide. The pieces are thick, offer precision cut interlocking and have a nice texture. Kids and adults will enjoy piecing together the serene life under the sea. Dolphins, turtles, starfish, coral, seashells, sea moss and other life that calls the sea their home. This puzzle will keep the family busy for days. The finished piece measures 28” wide x 20” high. Secret code: blue board. Everyone loves unicorns and this enchanting puzzle will put you in a magical realm where they roam freely. A tranquil image with craggy mountains, graceful unicorns, fairytale castle, cascading waterfall, a rainbow and whimsical flowers will relax anyone. It comes with 1000 vibrant hued pieces and a picturesque poster to use as a visual reference. The puzzle has durable interlocking pieces and a semi-matte finish that reduces glare. It’s a puzzle that the whole family will enjoy working on. Its finished size measures 28” wide x 20” high. Disclaimer: I received produc to facilitate a review. All opinions are my own, yours may differ. I love the Llamas puzzle. It is fabulous! I love the Ocean Life jigsaw puzzle (but they are all beautiful). My favorite is the Wonderland jigsaw puzzle. I really like the Evening in Paris puzzle. My favorite is the Neuschwanstein Castle puzzle. The Coral Reef is so colorful! That would be my pick. The coral reef puzzle is my favorite. I love so many of these puzzles!!! If I had to choose just one, I guess it would be the UNICORN PARADISE JIGSAW PUZZLE! I love the coral reef and also the unicorn paradise. I like the Evening in Paris Jigsaw puzzle. I love the JUNGLE LIFE JIGSAW PUZZLE. Although they are all beautiful, the animals and the colors in the Jungle Life Jigsaw Puzzle make it come to life. I love BALLOONS IN FLIGHT JIGSAW PUZZLE. I love the BALLOONS IN FLIGHT JIGSAW PUZZLE most!! They’re all AWESOME and it’s hard to just pick one……but if I had to choose just one I guess it would be the Mermaid. I like the universe puzzle. I like the Evening in Paris puzzle. I like BALLOONS IN FLIGHT JIGSAW PUZZLE because of all the vibrant colours. My favorite is NEUSCHWANSTEIN CASTLE JIGSAW PUZZLE, Love it! DANCE AT LE MOULIN DE LA GALETTE JIGSAW PUZZLE. I like the Coral Reef jigsaw puzzle. My grandson is totally into doing puzzles at the moment. He would love the challenge of this puzzle. For myself, I love the coral reef puzzle. For the grand kids I would pick the dinosaur world. Old World Map Puzzle is my favorite. I would like to do the WONDERLAND JIGSAW PUZZLE. OLD WORLD MAP JIGSAW PUZZLE is the one I like the most. I like THE UNIVERSE JIGSAW PUZZLE. I like Unicorn Paradise the best. It is beautiful. I love doing jigsaw puzzles so much. My favourite one is Evening in Paris. I really like the Coral Reef puzzle. Garden Cat Jigsaw 🧩 puzzle. I like the NEUSCHWANSTEIN CASTLE JIGSAW PUZZLE. My youngest son was born in Germany. I like The Coral Reef, because I like fish and the ocean. The Coral Reef puzzle is my favourite. The Universe jigsaw puzzle is outstanding! I’m partial to the llamas puzzle. I would adore the Coral Reef puzzle! The Balloons in Flight is my favorite. It is so colorful and beautiful. I love the sloth jigsaw puzzle! So cute my niece would love it. I have always loved puzzles. It brings back a lot of great memories from childhood. My daughter would love the sloth jigsaw puzzle! My favorite is the Neuschwanstein Castle puzzle. They are all beautiful! I would love to win because we do so many puzzles at our house. There is one out on the table at all times including right now. But I have no twitter. Just in case, the “NEUSCHWANSTEIN CASTLE JIGSAW PUZZLE” would be our choice. We have a picture of this castle in our living room. I liked the Evening in Paris puzzle. I really love the NEUSCHWANSTEIN CASTLE JIGSAW PUZZLE. Thanks for the awesome giveaway opportunity! I love doing puzzles with my daughter. I adore puzzles. When I was growing up my mom always had one going on. I love the Jungle Life jigsaw puzzle,I love all the animals and the beautiful colors! I mostly love the LLAMAS JIGSAW PUZZLE. I like the DINOSAUR WORLD JIGSAW PUZZLE the most!! I love the Unicorn puzzle! I love the LLAMAS JIGSAW PUZZLE the most! I would definitely choose the CORAL REEF JIGSAW PUZZLE. I think it’s beautiful. Who doesn’t like unicorns ? I like the Garden at Sainte Adres the best. I love the Coral Reef Jigsaw Puzzle, although there are several others that I love as well! I like the Llamas puzzle. Nice pictures. I have always enjoyed doing puzzles. I like the Coral Reef Puzzle the best. Ocean Life is my second favorite. Unicorn Paradise is my favorite! It reminds me of pictures I had when I was little. Love all your puzzles ! 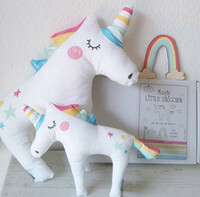 My daughter and I would love to have the unicorns. I love the Coral Reef jigsaw pizzle! I like balloons in flight the most. All of the puzzles are really cool! I would love to do the ocean life puzzle. I love the Evening in Paris puzzle, but I think the Garden Cat puzzle is my favourite because it is so whimsical and colourful! I’m loving the Wonderland Jigsaw Puzzle, it’s really cute. I just got a puzzle that was cheaper and I’m really frustrated with it. The pieces aren’t cut very well and starting to fray. I would love the GARDEN CAT JIGSAW PUZZLE! This cute cat reminds me of my own kitten that we just got. I like the Balloons in Flight puzzle. Reminds me of my childhood. I love the sloth jigsaw puzzle!! I like Balloons in Flight. I like the Coral Reef Puzzle. My daughter would LOVE that LLAMAS JIGSAW PUZZLE. I really like the BALLOONS IN FLIGHT JIGSAW PUZZLE. It is the prettiest and most colorful one of all. I love The Universe Jigsaw Puzzle. I love Garden Cat best. I love The Universe jigsaw puzzle! Love the DANCE AT LE MOULIN DE LA GALETTE puzzle! I love the Evening In Paris puzzle. I would like the jungle life puzzle. The LLAMAS JIGSAW PUZZLE is FUN!! !